High tech or low tech? Tech yer pick! 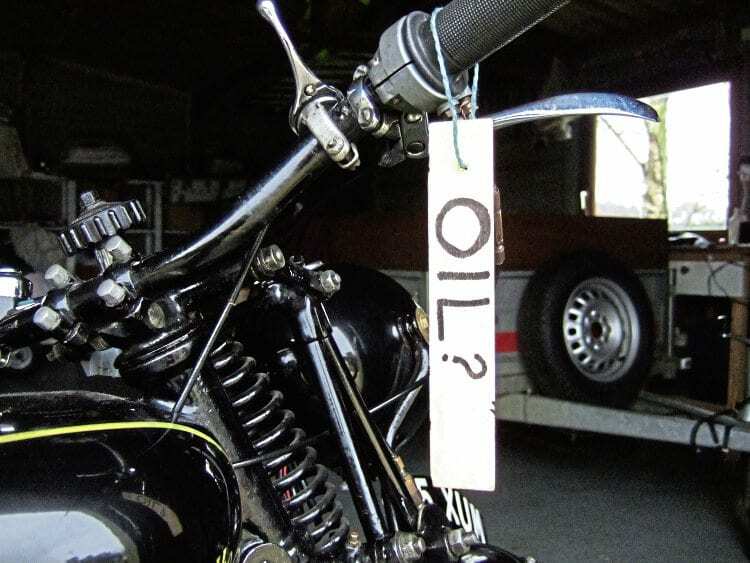 Do you really need to go to the trouble of obtaining and fitting a gizmo for such a simple thing as remembering to turn on the oil flow to your engine? If so, then go ahead and spend £45 plus postage and packing plus other bits you might need, depending on your magneto. Or use this foolproof method of using a bit of wood or cardboard and a bit of string. When I bought my 1935 Velocette some years ago I simply put this reminder on to my twistgrip. I turn the oil on and put the reminder in my pocket, then when I turn the oil off I replace the notice on the twistgrip. Very simple and foolproof. I didn’t have to find what thread size to order or what the end of my magneto looked like, neither would I have to route the wires from the gizmo to the mag. Whichever method you use, you still have to use the oil tap!